HAN Jun-hee’s Coin Locker Girl (2015) follow-up Bbaengban (Korean title) has locked its cast and will commence production later this month. The Showbox title will star KONG Hyo-jin, RYU Jun-yeol and JO Jung-suk. 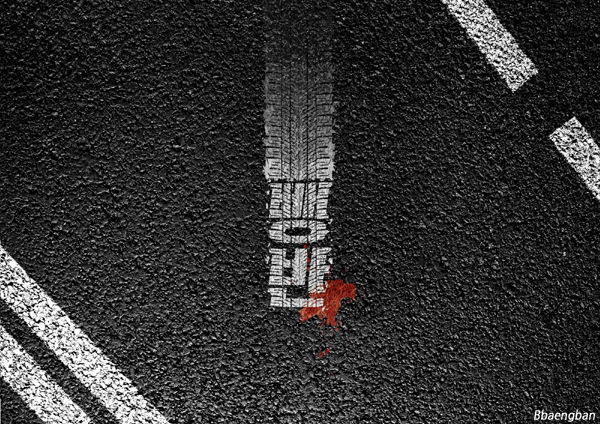 The film’s Korean title is derived from a slang word that refers to a police unit that investigates hit-and-run cases. Joining the main stars will be YUM Jung-ah, JEON Hye-jin and pop star Key in his first feature film role. KONG will play an investigator who is demoted to a hit-and-run investigation team where she works alongside officers played by RYU and JEON. JO plays a retired Formula One driver that they try to apprehend. Recently seen in MISSING (2016) and A Single Rider (2017), KONG Hyo-jin is currently shooting LEE Kwon’s new thriller Doorlock. Having recently shot to stardom through The King (2017) and A Taxi Driver (2017) among others, RYU Jun-yeol is back on screens this week with KIM Tae-ri in Little Forest and has several more projects lined up for the rest of the year. JO Jung-seok appeared in MY ANNOYING BROTHER in 2016 and will be back in theaters this summer in the SONG Kang-ho period gangster film The Drug King. Director HAN made his feature debut with Coin Locker Girl, a women-centric gangster saga with KIM Hye-soo and KIM Go-eun that debuted in the Critics’ Week sidebar of the Cannes Film Festival in 2014 and went on to welcome 1.47 million viewers (USD 10.97 million) in Korea.